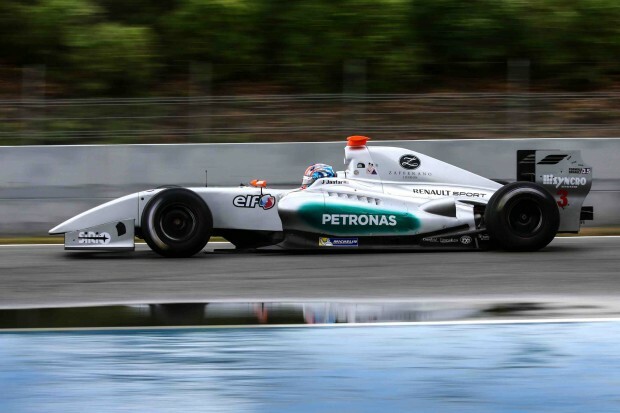 Two top ten finishes rounded off Jazeman Jaafar’s 2015 Formula Renault 3.5 Series, with a sixth place finish in the first race and an eighth place finish in the second race at the final round of the World Series by Renault headline championship held this weekend in Jerez, Spain. The first day of running on Friday featured dry weather with high temperatures and blue skies throughout the day for the two practice sessions, which produced strong results for Jazeman, with the young Malaysian finishing eighth fastest in the first session and fifth quickest in the afternoon session. Saturday’s weather started dry, with the qualifying session for the first race allowing slick tyres to be used. Jazeman began well, featuring in the top group of drivers, before a red flag forced a return to the garage while the safety crew retrieved a stranded car in the gravel. He returned to the track and showed his speed, quickly pumping in a solid third fastest lap on his first set of tyres. However, just after this he felt that the car was damaged and returned to the garage where the Fortec Motorsports crew found a damaged wishbone. During a second red flag period, the crew set to work to replace the part and while other drivers returned to the track in the closing minutes, Jazeman was left in the garage. Despite their best efforts there was not enough time for the part to be changed before the chequered flag and by the end of the session Jazeman was fourth quickest for a second row grid slot. Soon after the end of qualifying the weather turned, with long periods of torrential rain drenching the track. With rain still falling for the start the organisers opted to start the race behind the safety car. After two laps the racing began, with Jazeman maintaining his grid position. The severe rain limited visibility and all the drivers struggled with the conditions. Jazeman found himself struggling for grip and unable to show his true pace, however he fought hard to stay ahead, just dropping a couple of places and finally finishing in sixth place. Today’s weather showed little sign of improvement on Sunday morning with torrential downpours delaying the start of the track action. The Formula Renault 3.5 Series qualifying session started late, but was fortunate to be held in a break between showers, although the wet track forced all the drivers to run on wet tyres. After 30 minutes of running Jazeman finished 14th fastest, with his setup compromising his pace in the damp conditions. The weather brightened for the afternoon and the grid of Formula Renault 3.5 Series cars started on slick tyres. Lining up on the seventh row Jazeman made a good start to lie 12th at the end of the opening lap. He held position as the race settled, stopping at mid-distance for his mandatory pitstop. With quick work by the Fortec Motorsports crew Jazeman soon rejoined the track and when all the cars had made their stops was lying in ninth place. On track incidents brought out the safety car a few times and on each restart Jazeman maintained position and pushed hard to move up through the field. He worked his way up to seventh place and was lying in this strong position until the closing stages. On the last lap a hard-charging Egor Orudzhev, who was running with fresher tyres than Jazeman, squeezed past the Malaysian and he finally took the chequered flag in eighth place. Jazeman said after the weekend, “It was good to finish sixth in the first race as I really struggled with the grip, which was a result of running with tyre pressures that were a little too high for the temperatures and track conditions.